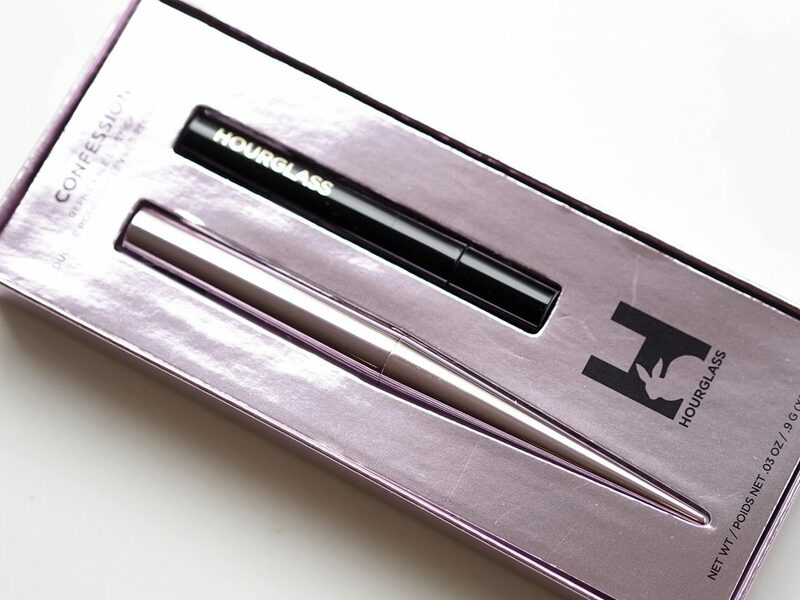 The most striking thing about the Hourglass Confession Refillable Lipstick Set is that it feels like a pen once you have it in your hand. 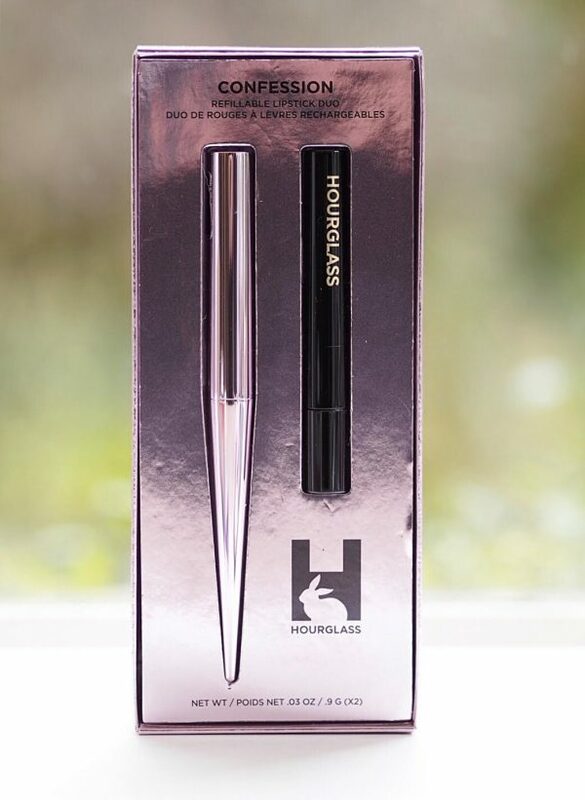 That makes applying the lipstick almost an artistic experience because it’s such a different sensory feel to regular lipsticks due to the slender cylinder (it’s the slimmer end that you hold to apply). Inside the box, you get the lipstick pen with My One Desire lipstick already inside it (it’s a mauve tinged neutral) and At Night, a bright red, to the side as your other shade. Swapping colours is super easy – the colour in use just pulls out and you then pop the other one in. 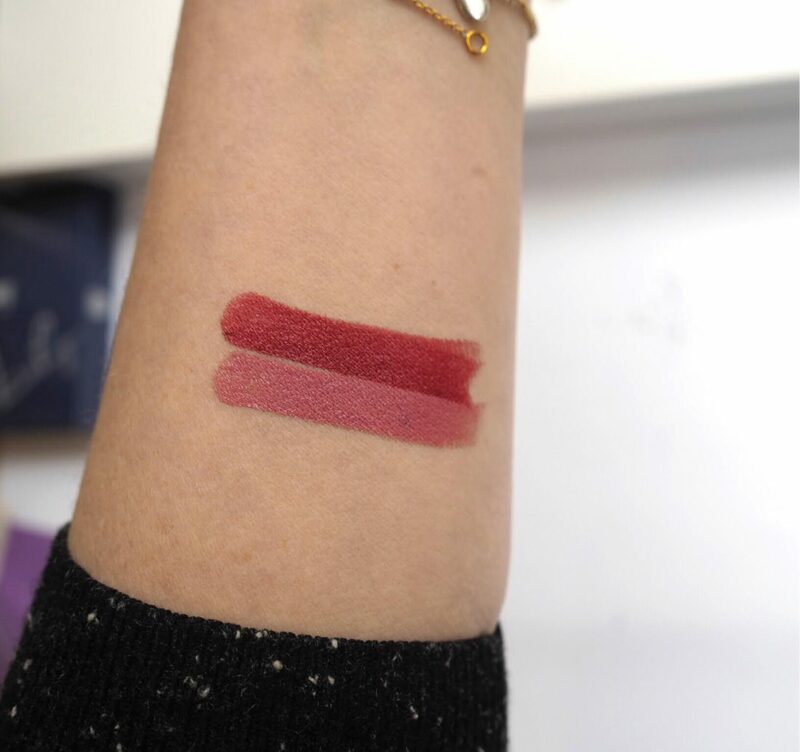 The lipstick texture is a creamy satin finish – you can see in the swatch that the pigment is fine without being extreme and you can buy more refills when you run out. 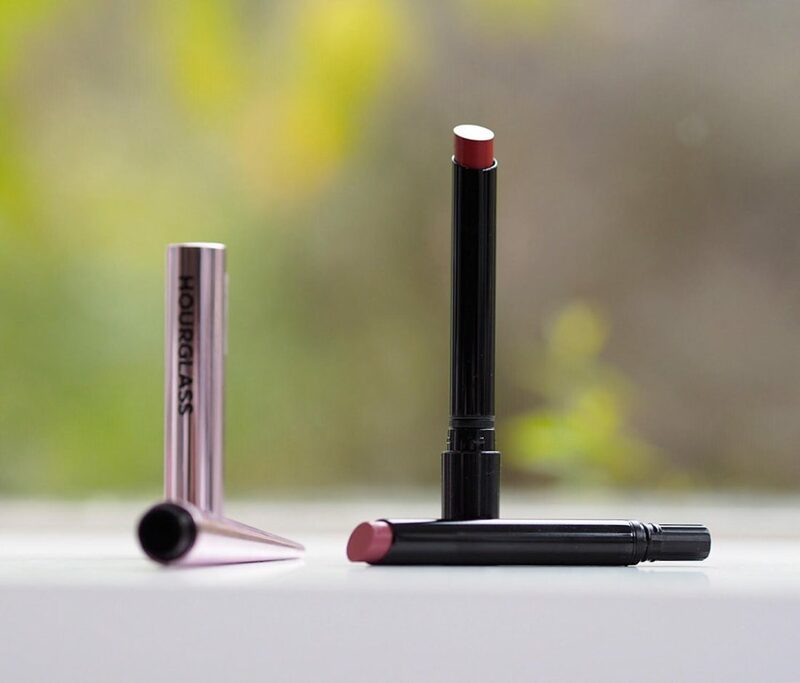 So, at £28, you’re getting some smart, customizable and sensorial innovation that I can’t fault, but I will caveat that by saying the lipsticks are very slender – you aren’t getting a whole lot of lipstick! 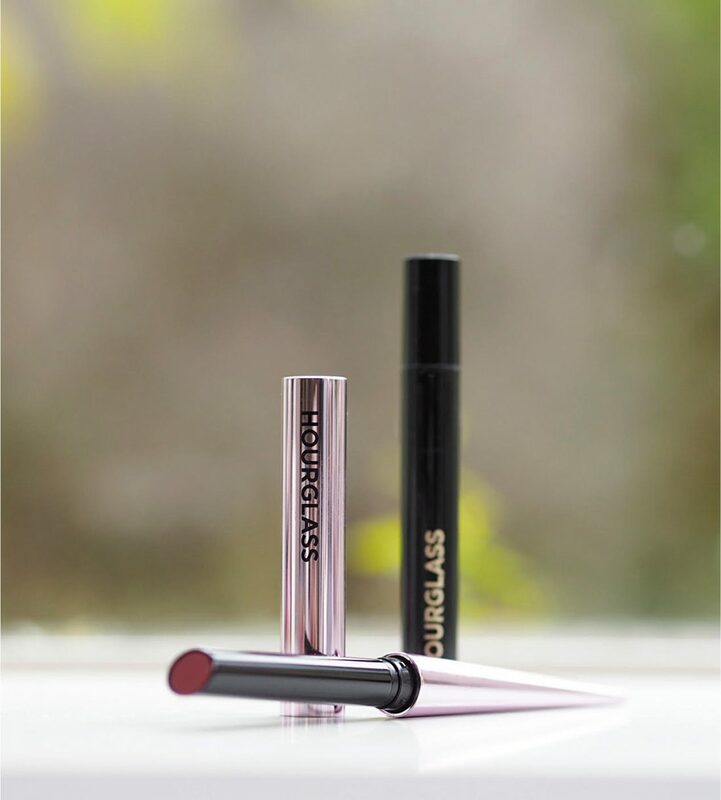 The Hourglass Confession Refillable Lipstick Set is £28 HERE at John Lewis.